At the end of 2017, the resort named ‘Ranczo Panderossa’ invested in glamping pod with diameter 8m and 50 sq. m floor space. Glamping pod placed on the wooden deck perfectly fitted into the incredible wild nature landscape surrounding the resort. The other words – glamping is a luxury camping in spacious, air-conditioned room without a paved floor. 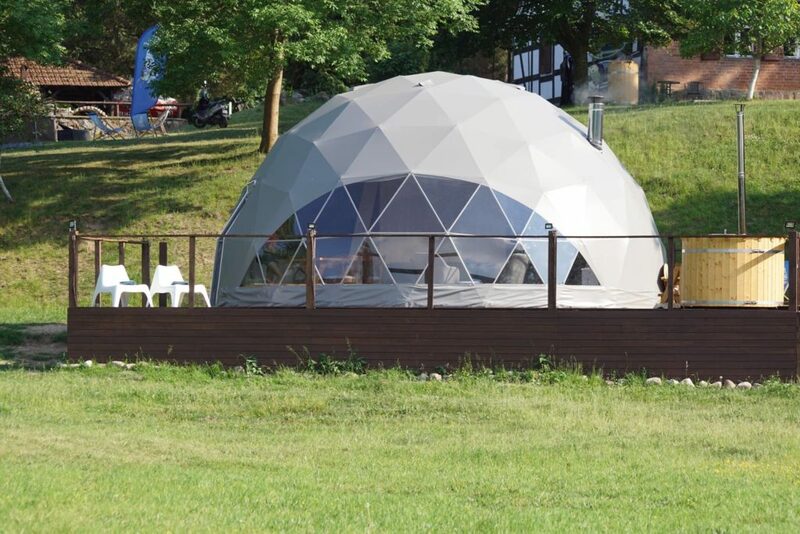 In the case of Panderossa resort, it was a Polidomes glamping tent apartment with 50 m square with a private kitchen and a bathroom. 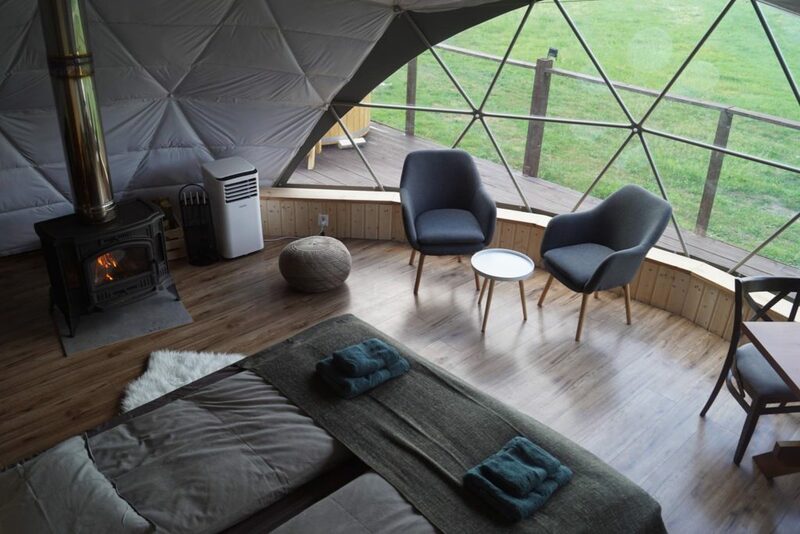 A tourist who wants to get closer to nature in the case of glamping has everything he could expect in a luxury resort for a vacation – the difference is that he is surrounded by wild nature, at any time he can feel like a shipwrecked on a desert island, then return to the tent and enjoy all the amenities of the XXI century according to “glamour”. 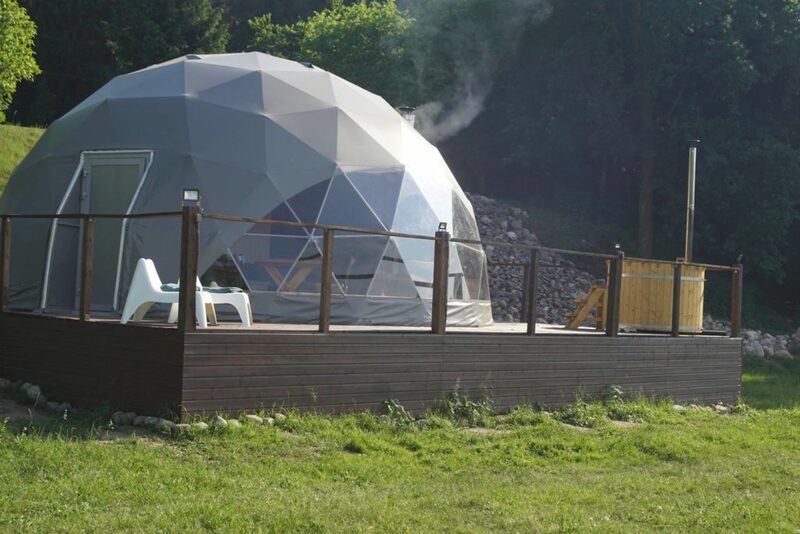 In June 2018 the first in Poland glamping in a tent arose. That is 50 m space apartment with fireplace, views of the lake and fields, through transparent front cover, with the possibility of relaxing in the jacuzzi under the clear sky, placed on a wooden platform. The accomplishment was made with the help of our Polish partners – Stalovo.com – the steel fabricator. The newest investment at the ranch Panderossa is ready to receive the guests! At the start of the summer, they set the Fb promotion showing their new acquisition and offering to book the stay in a glamping tent. As a result after 8 days of the campaign, they had all the summer season weekends booked. The Fb post reached more than 60,000 people all over the country. ‘Glamping’, or luxury camping, is becoming increasingly popular around the world. 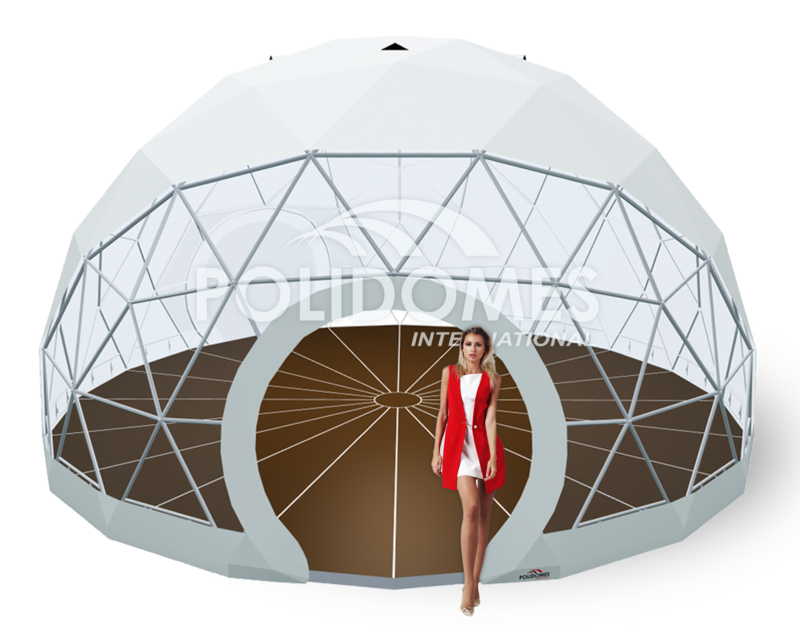 The Polidomes International product range is tailor made for this type of business – we are able to produce, deliver and assemble (in several hours) tents of various sizes which a luxury resort can then furnish as they wish. In this particular case, the Polidome 18 and Polidome 20 are ideal. 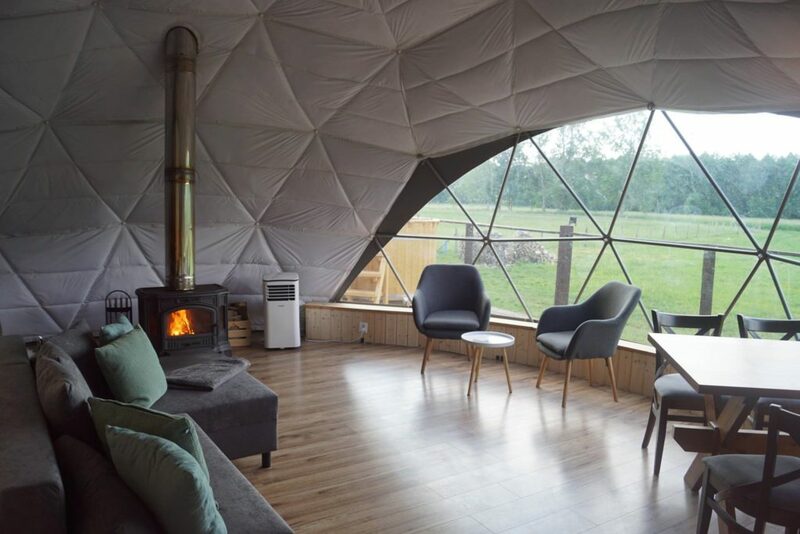 Polidomes geodesic glamping tents offer an interesting dash of diversity for outdated resorts which have long since lost their former glory. Glamping pods are the perfect choice for the revitalization of an outdated resort with a futuristic appearance, a large space for marketing exploitation, and practically endless functionality. Contact us today!